Maayon Schoen's Thanksgiving campaign supports Mazon's Food Fight for food stamps. 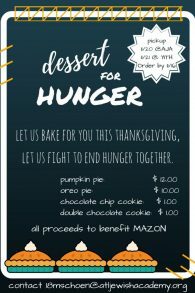 AJA senior Maayan Schoen hopes to raise $1,652 to help Mazon fight hunger. When she visited the traveling exhibit of Mazon: A Jewish Response to Hunger at the Marcus JCC in January, Atlanta Jewish Academy senior Maayan Schoen gained an understanding of Americans’ everyday struggles with hunger. Her Jewish response was a Thanksgiving fundraiser to end hunger through Mazon’s Food Fight campaign, which seeks to raise money through Nov. 28 to support the food stamp program, which has been threatened with $150 billion in federal budget cuts over 10 years. Maayan hopes to raise $1,652, the average amount a food stamp recipient receives in one year; it’s about $4.50 a day. “I think anyone hearing that number is blown away by how small that figure is and how little food individuals receive,” she said. 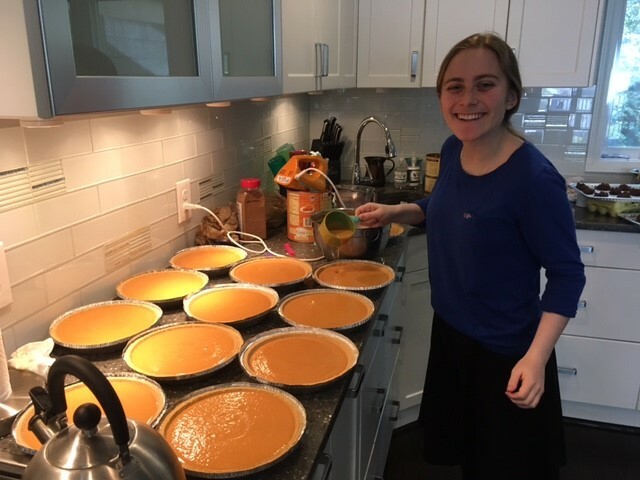 Instead of launching an online campaign, Maayan created a Thanksgiving fundraiser called Dessert for Hunger, a bake sale in which people could order pies and cookies. 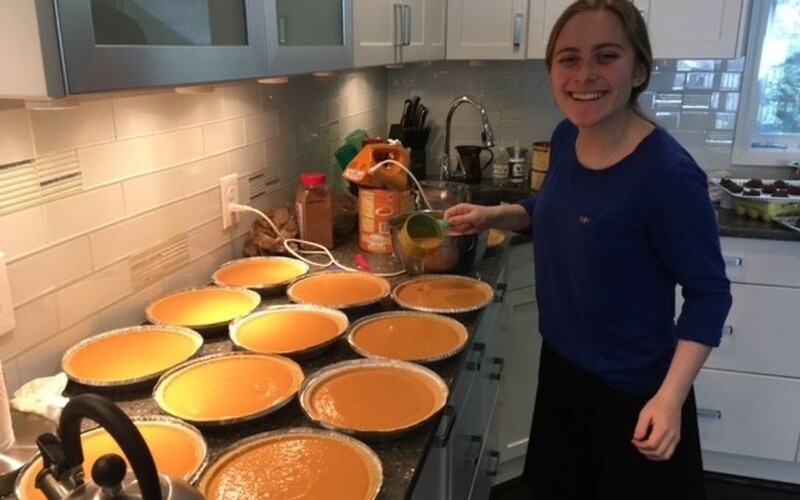 “I think there is something really powerful about associating food with what we purchase for others and tying it into Thanksgiving, which I also think is a Jewish holiday as it relates to one of the pillars of Judaism, hakarat hatov, which can also mean recognizing the good,” Maayan said. By the Nov. 16 order deadline, the bake sale had raised $685, said Maayan, who also is taking donations at give.mazon.org/fundraiser/1199478. All the proceeds will go to Mazon. 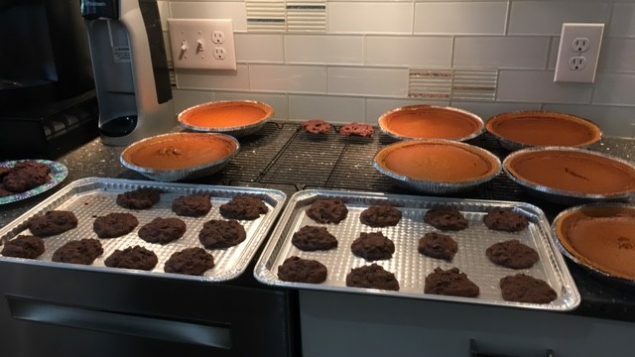 Maayan had the desserts prepared for pickup Monday, Nov. 20, at AJA and Tuesday, Nov. 21, at Young Israel of Toco Hills. 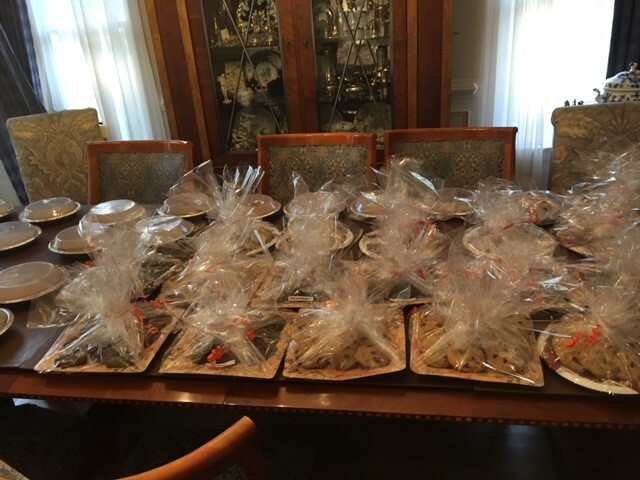 Maayan, baked 25 pumpkin pies, 25 Oreo pies, and a couple hundred cookies with the help of her mom and Rabbi Houben. 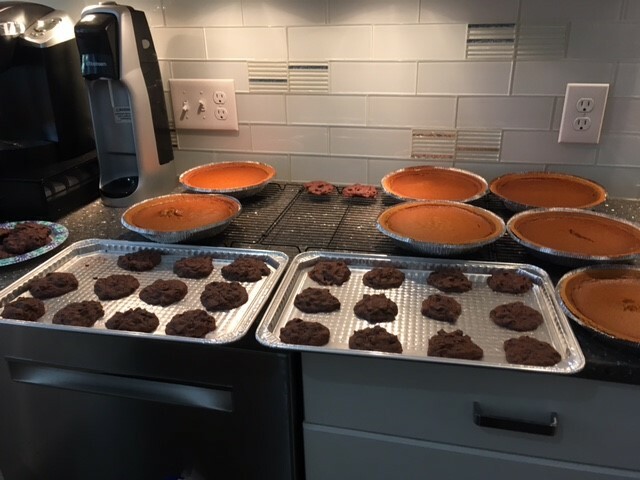 Trays of cookies and pies take time to cool down before Maayan wraps them for individuals who donated to her fundraiser to help fight hunger. With each purchase, Maayan included a free gratitude jar containing slips of paper asking what people are thankful for on one side and offering a statistic about hunger on the other. 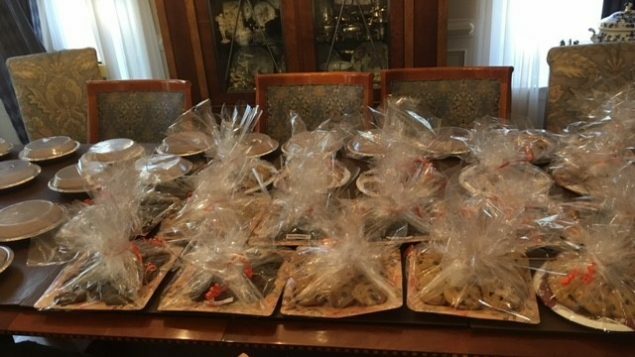 The slips could be distributed to guests on Thanksgiving.